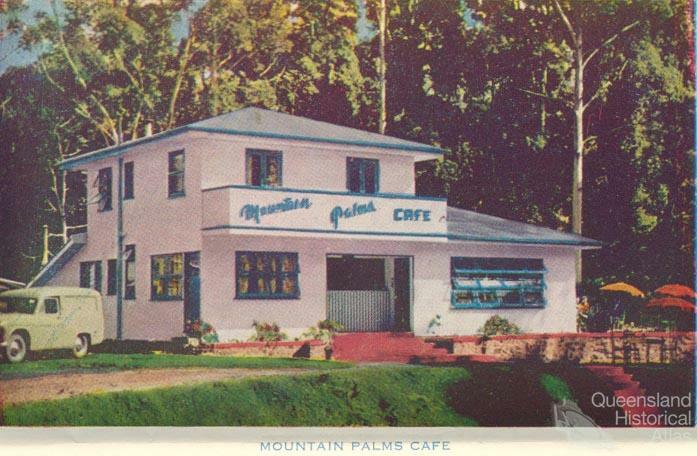 Since the novelist, poet and essayist, Mabel Forrest, first made her home there in 1929, writers and artists have been attracted by the beauty, peace and mild climate of the Tamborine Mountain area. 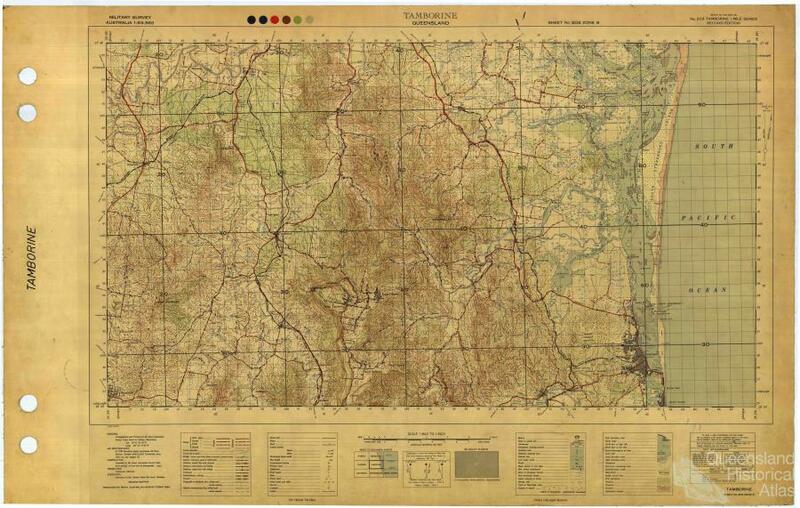 Tamborine Mountain is a spur of the McPherson Range in south-east Queensland. The tabletop mountain rises as an escarpment in the Gold Coast hinterland. 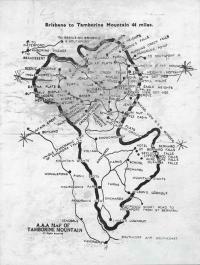 The first people of the Tamborine area were the Wangerriburra people. 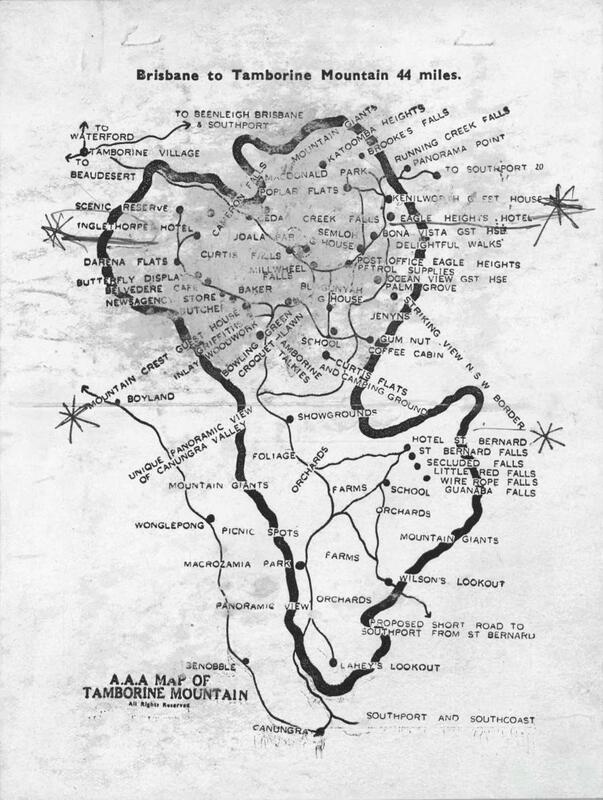 One name for the area, ‘Dyambrin’, seems to be the origin of ‘Tambourine’ – later ‘Tamborine’ mountain. 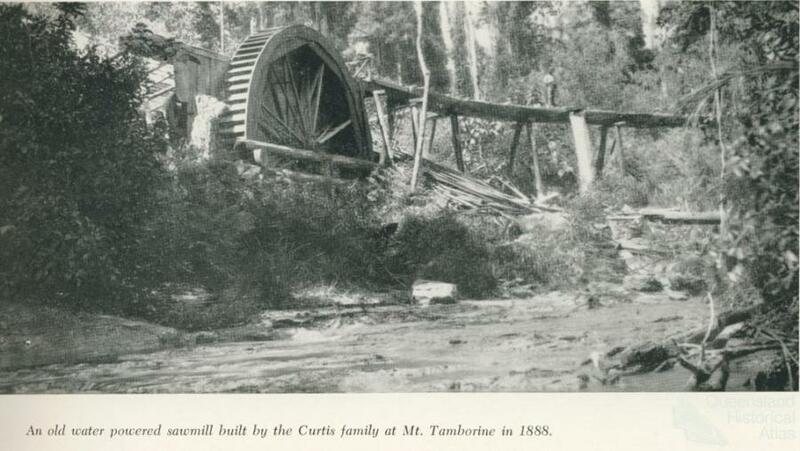 The mountain was opened up for timber-getting and agriculture in the 1870s. Covered, according to aspect and rainfall, by eucalypt and rain forests, its vegetation included ancient cycads and native Picabeen or Bangalow palms, remnant stands of which can be seen today. Some areas of forest on the slopes of the mountain were preserved and in 1908 Queensland’s first National Park, Witches Falls, was created. 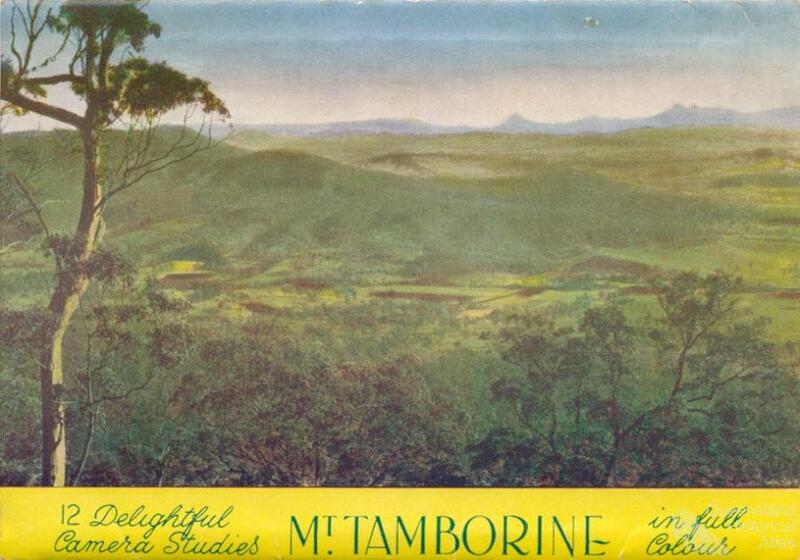 Tamborine had by then already become a place of retreat from the humidity of Brisbane and coastal summers. Among noted writers who have lived on and taken imaginative inspiration from the mountain are James Devaney (1890-1976) and Val Vallis (1916-2009). Janette Turner Hospital’s (b1942) familiarity with the mountain appears in her representation of a Tamborine childhood in the novel Charades (1988). The novelist Kate Morton (b1976) grew up on the mountain. The work of four writers specifically and extensively represents life on the mountain – Mabel Forrest, Judith Wright, and Raymond Curtis and Eve Curtis. Tamborine looms large in their creative imagination. The writers of Tamborine Mountain have had an important role in promoting understanding and hence conservation of this precious forested landscape. But they have also been keen to understand how settlement and forest can coexist. In Judith Wright’s garden at Calanthe, her home, a temperate European garden and temperate rainforest sat side by side. Today, ‘one of the cycad groves sits … on the edge of a road’ another is deep in the National Park. Mabel Forrest’s witches hint at the wild ‘other’ that lurks beyond the edge. That becomes for Wright a channel to a sense of the human as part of something overwhelmingly larger than our activities. On Tamborine, wild and tamed have set up a precious conversation that is captured in the imagination of its devotees. To trip the witches as they flew by. Judith Wright (1915-2000), one of the foremost poets of the twentieth century, came to Tamborine in 1948 and lived there until 1975. She and her husband Jack McKinney, a philosopher and writer, became deeply involved in conservation issues. Much of Wright’s poetry draws on the environment of Tamborine – the forests, the garden, the community of species. She calls it ‘a quiet, beautiful place’. Judith Wright grew up on the New England Tableland, spent nearly 30 years at Tamborine, and lived her remaining years at Braidwood in New South Wales. Landscape, to this cultured and philosophically oriented poet, is not ‘backdrop’, something incidental, but deeply embedded in her understanding of what it means to be human. Tamborine was her chosen dwelling place during her major writing years. Its earth, its trees, its creatures are enmeshed in the language of this great poet of the Australian landscape who understood deeply the debt owed to the Aboriginal peoples of the area in any connection that we today make with the land. into an agony of flower. Their smooth dark flames flicker at time’s own root. beyond which man remembers only sleep. Raymond Curtis and Eve Curtis have played significant roles in linking cultural and conservational values on Tamborine Mountain. Raymond, descended from one of the early settler families on the mountain, grew up on a farm beside a national park. In Rainforest Journal (2003), he recounts a year (1980) spent working in the mountain’s national parks. He describes the work of clearing tracks and maintaining the forest, and he observes the life of the forest: watching birds and insects go about their work, describing plants, cherishing the sounds and life of the forest. In company of daffodil and rose. From here to the Great Divide. From here to the wide world’s end. Both Raymond Curtis and writer and historian Eve Curtis, have worked to preserve the integrity of the relationship between Tamborine’s wild and settled places, with Eve playing a significant role in the cultural life of Tamborine. 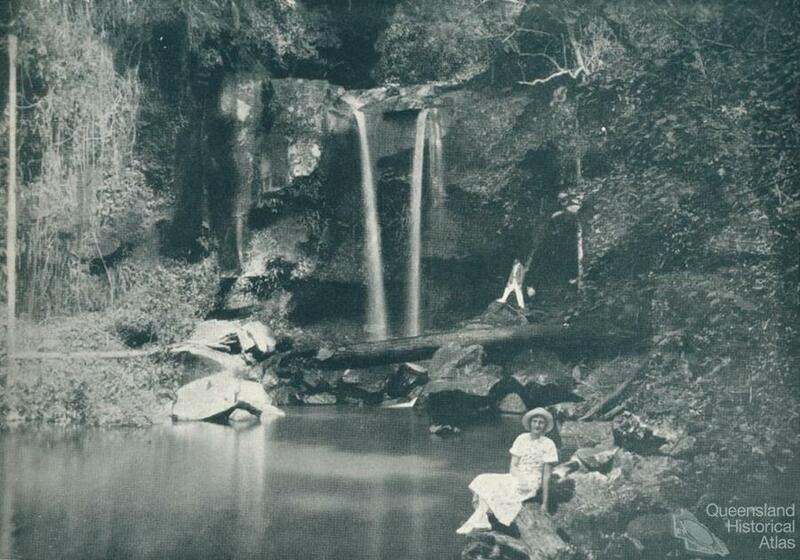 Despite a conflicted history in terms of the relationship between forest and settlement, Tamborine today is a place celebrated for both its gardens and its national parks.